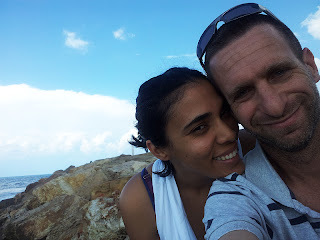 Wow, what a year this was. 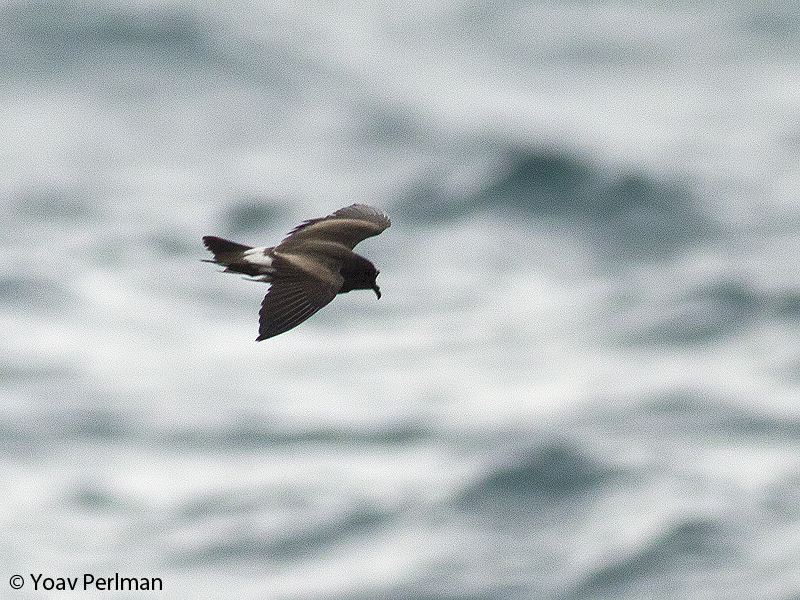 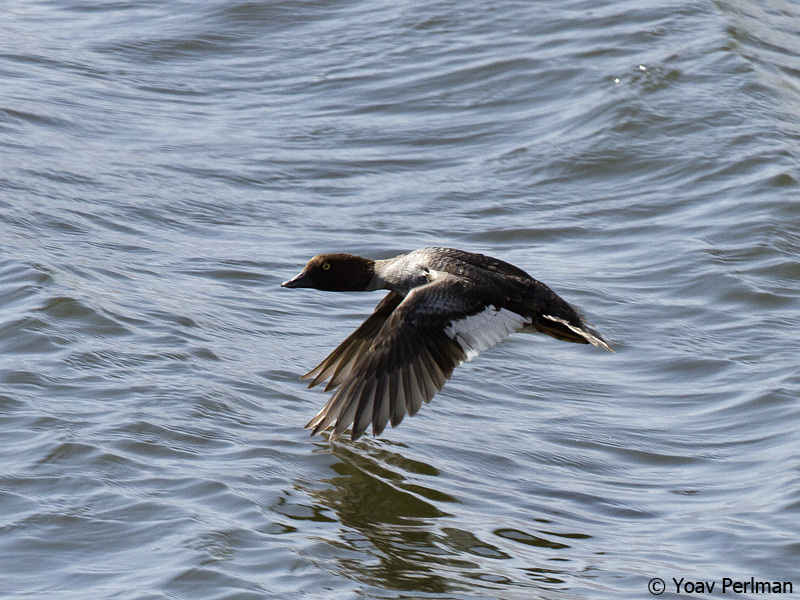 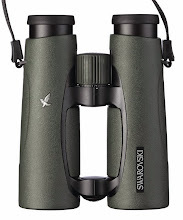 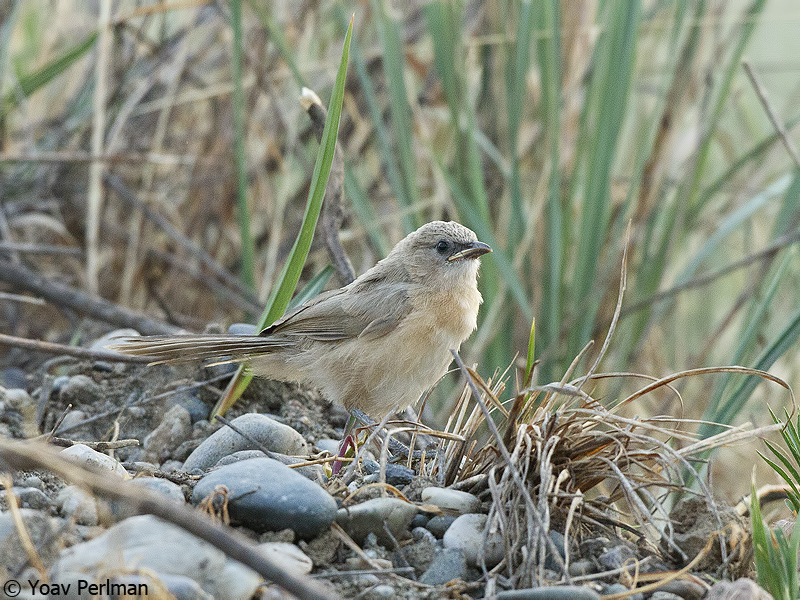 Not over yet, small chance for another good bird to show up by the year's end, but I feel I am ready to summarize. 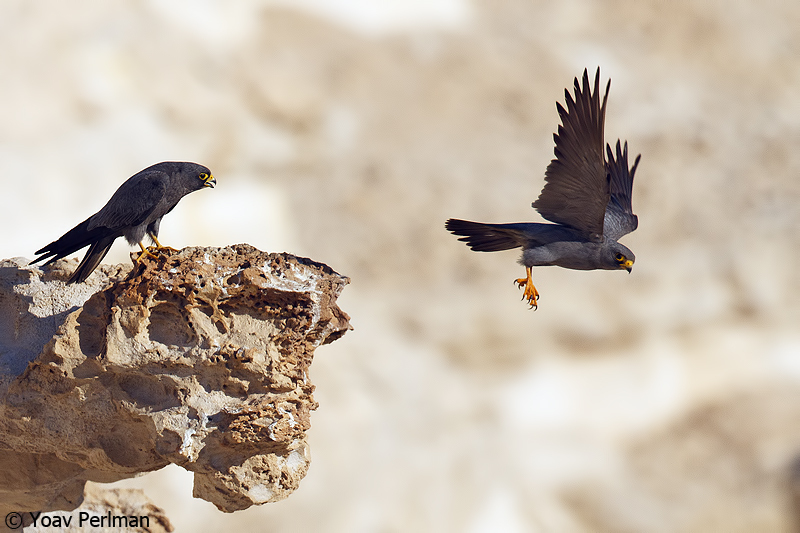 Again I was lucky this year to have the best job on earth, that allows me to bird and photograph (almost) as much as I want. 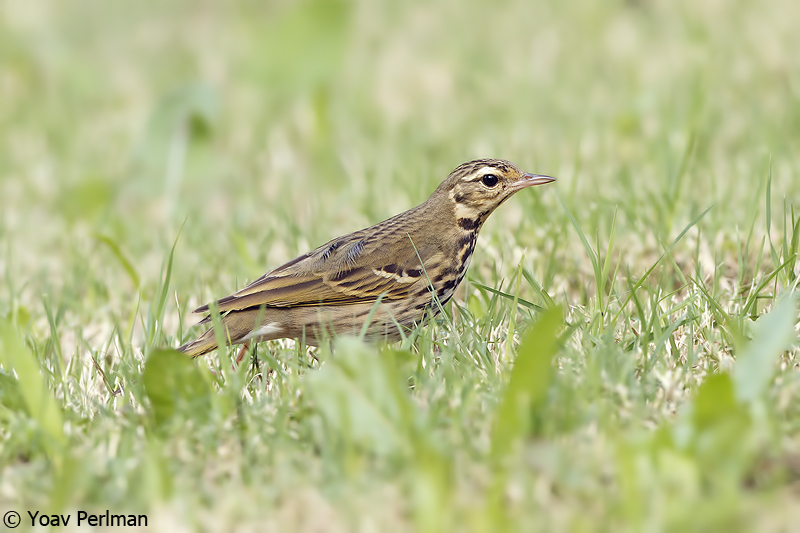 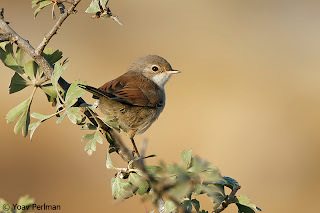 In this post I will present some of my highlights of the year - best birds, and favourite photographs. The year started well with some desert excursions. 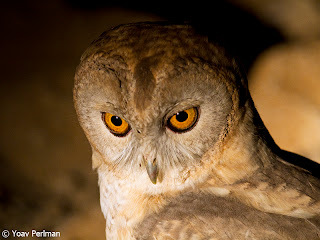 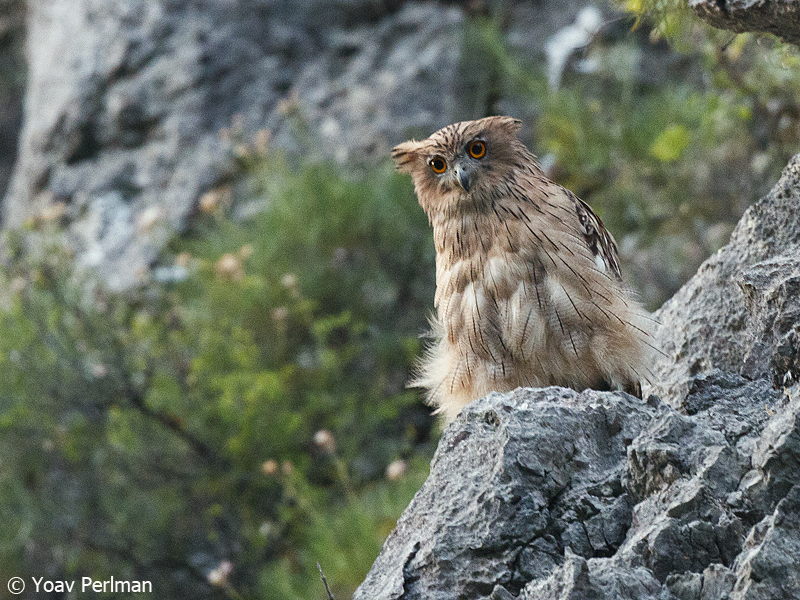 First, a stunning encounter with Hume's Owl in the Judean Desert - this inquisitive bird came down to 4.59 m away from my lens! 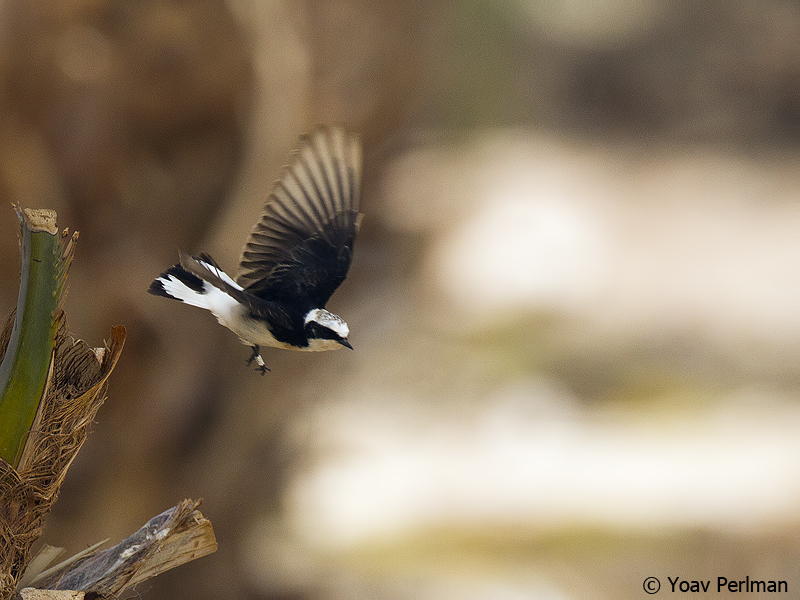 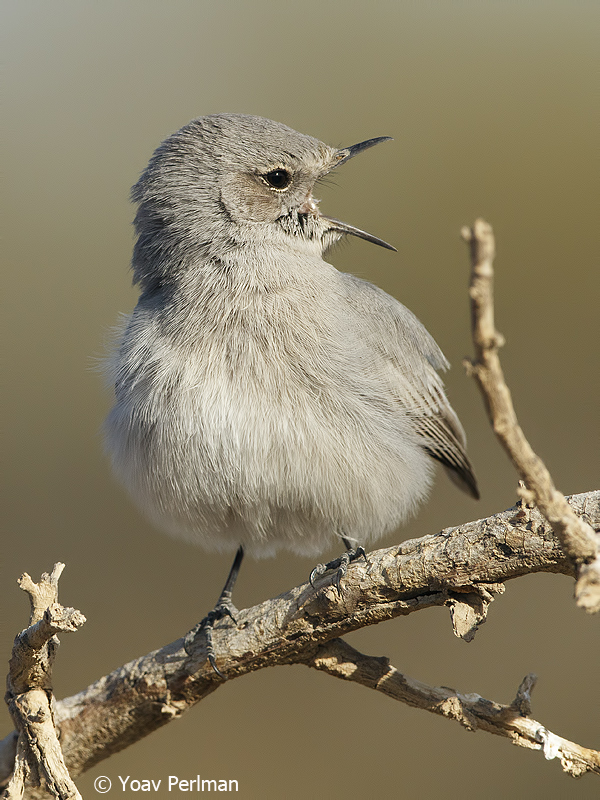 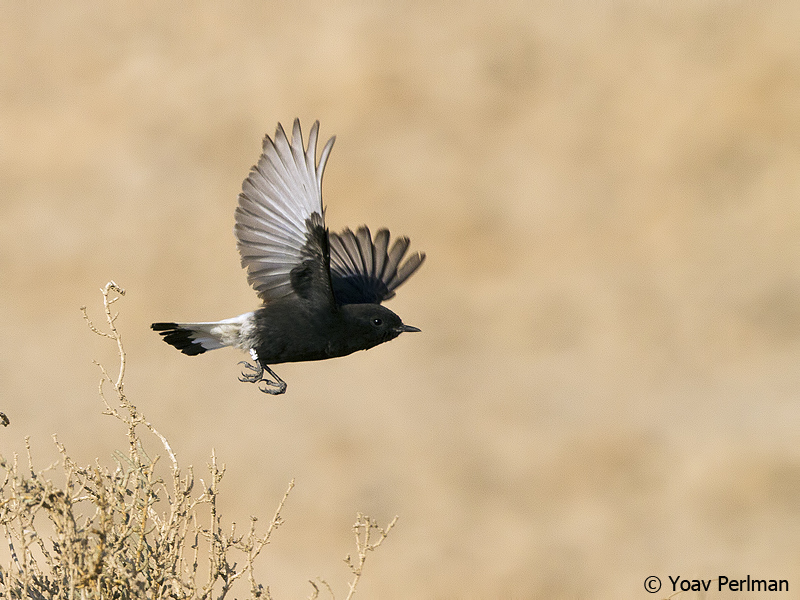 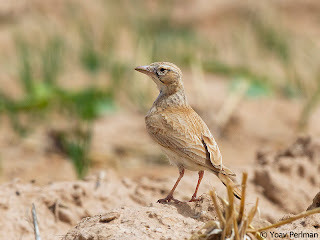 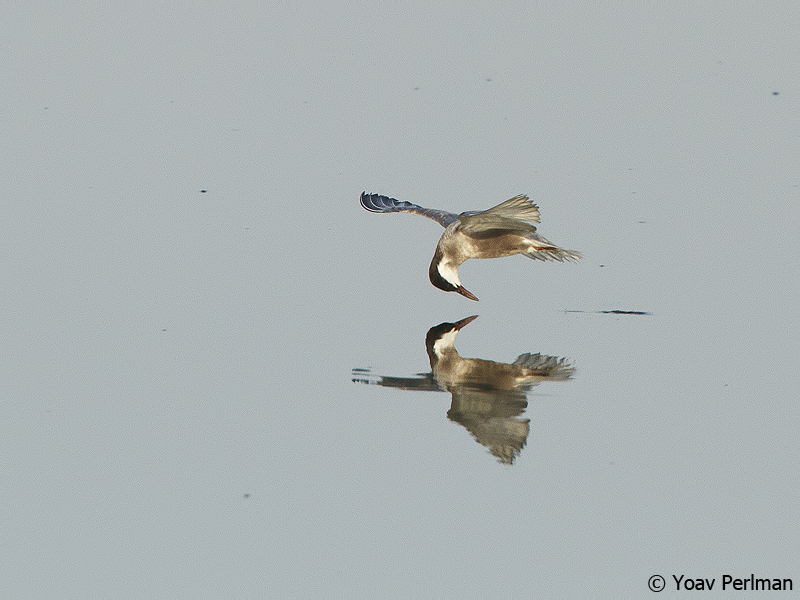 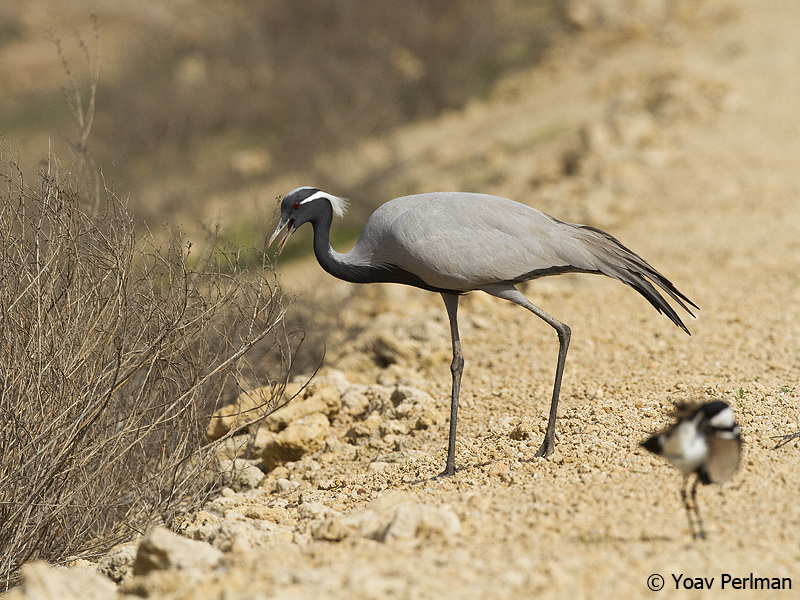 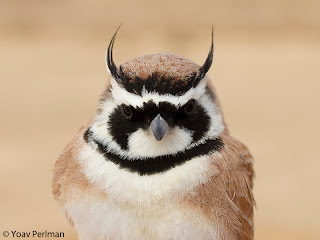 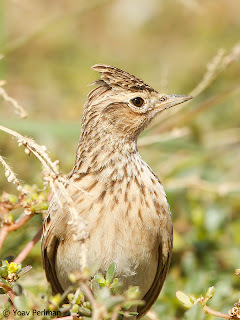 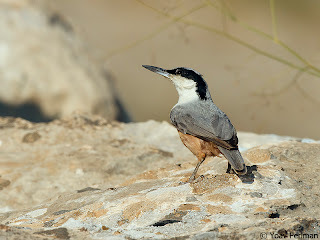 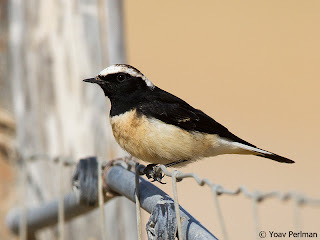 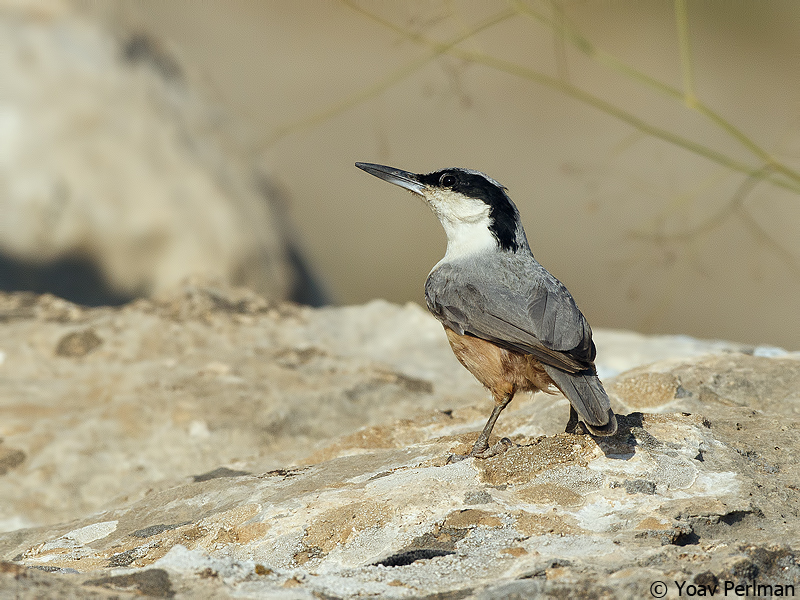 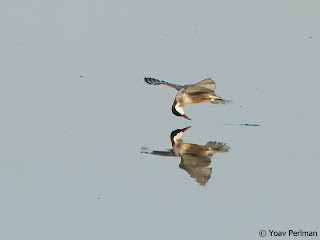 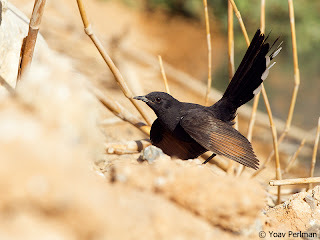 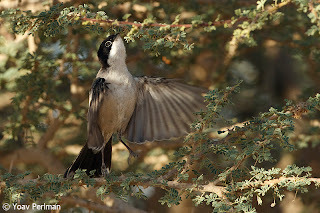 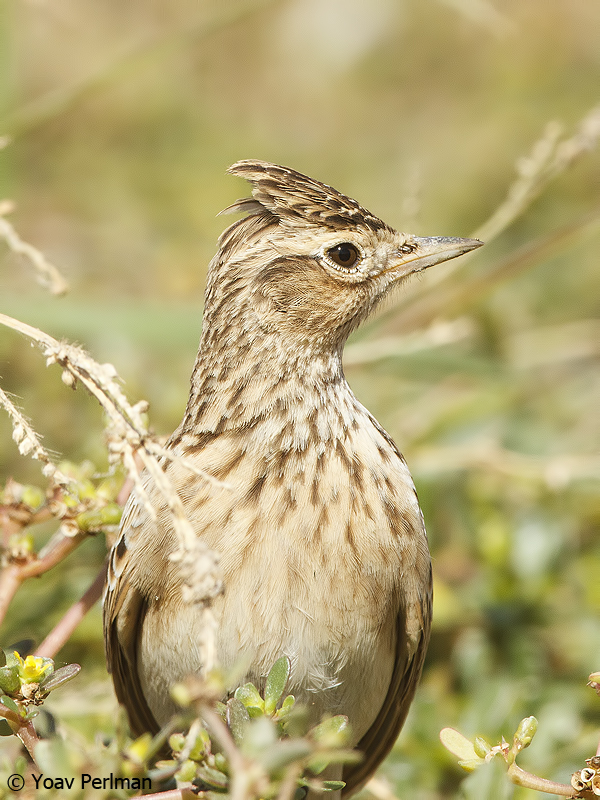 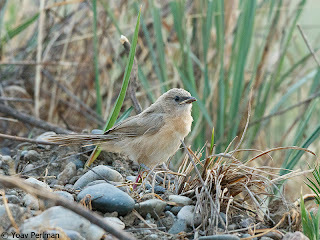 During the Eilat Festival, that was a great success, we saw so many wheatears that they almost became boring. My star bird of the year was this Basalt Wheatear at Uvda Valley. 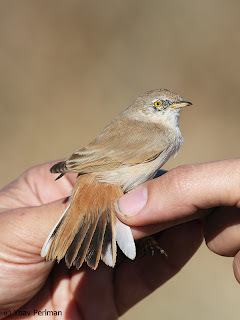 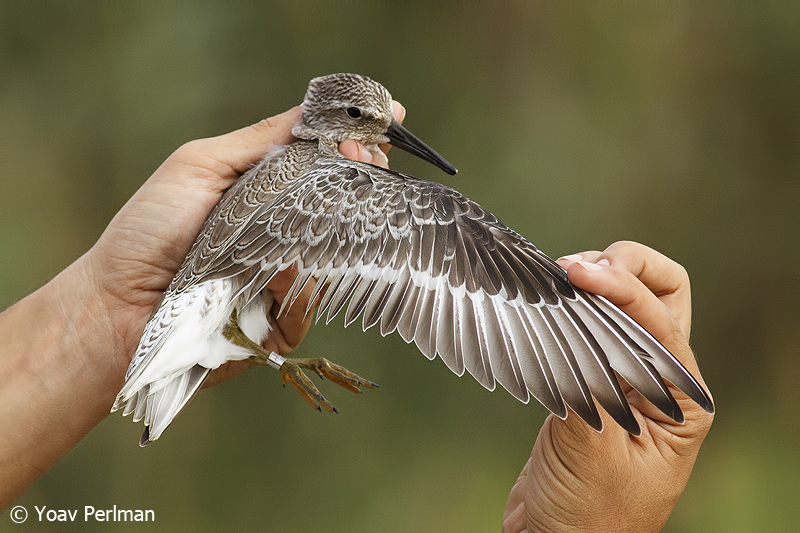 6th record for Israel, I also ringed it with Hadoram. 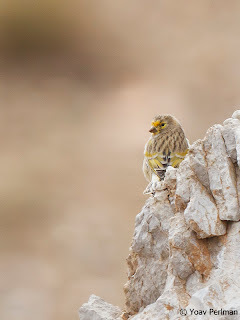 Stonker. May 1st was a day I will remember for the rest of my life. 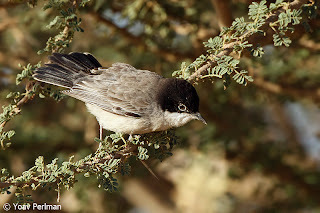 I went down to the Arava Valley and witnessed the largest fall of migrants one can imagine, with thousands of migrants just pouring out of every bush. 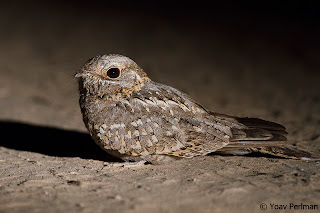 Another awesome desert encounter I had happened in September. 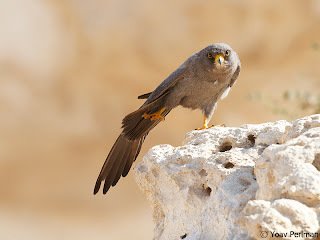 I helped Meidad with some fieldwork on his Sooty Falcon survey, and together we watched in awe a fantastic pair breeding in the Negev Mts. 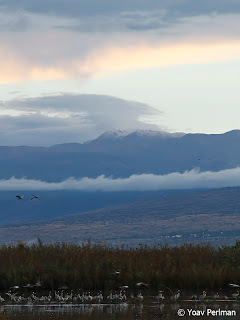 The main event in November was the Hula Festival. 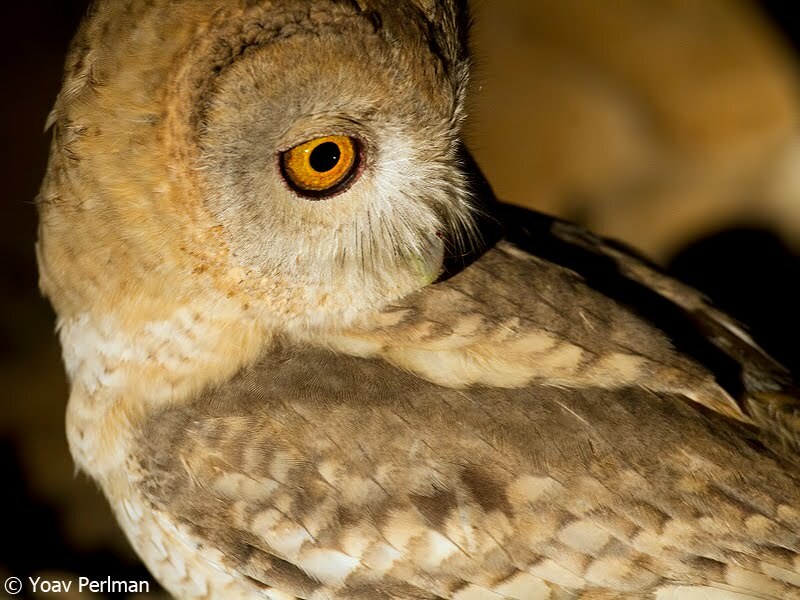 I had a great time during the week, that took me to the best birding sites in the Hula Valley and northern Israel in general. 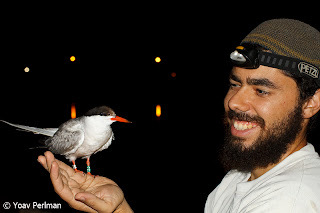 As always, none of this would be possible without the help and good friendship of my friends and colleagues. 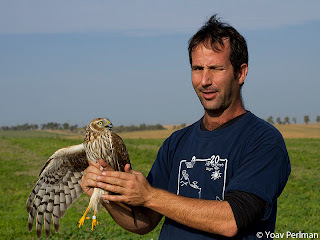 Some names that I should mention (in random order) are Jonathan Meyrav, Meidad Goren, Dan Alon, Yosef Kiat, Nadav Israeli, Amir Balaban, Itai Shanni, Rony Livne, Rami Mizrachi, Shachar Alterman, Hadoram Shirihai, Asaf Mayrose, Oded Keynan, Martin Garner, Tristan Reid and many many more. 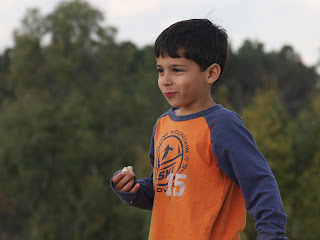 Thanks to all of you guys! And, as always, what would I be without my precious family? I love you very much. I wish all my readers and followers all the best wishes for 2013! This morning I went with Meidad to check some territories of Arabian Warbler in the acacia savanna near Hazeva, in the N Arava Valley. We spent most of the morning with Oded Keynan - thnaks Oded. 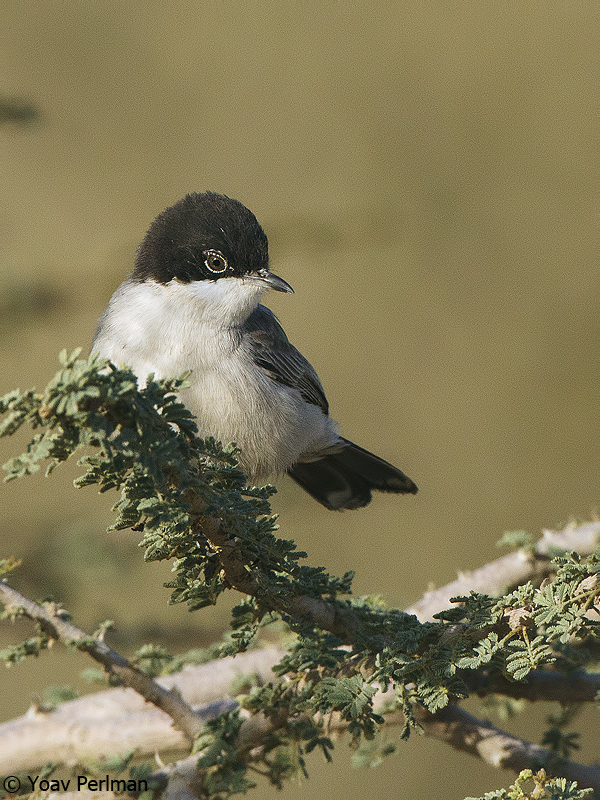 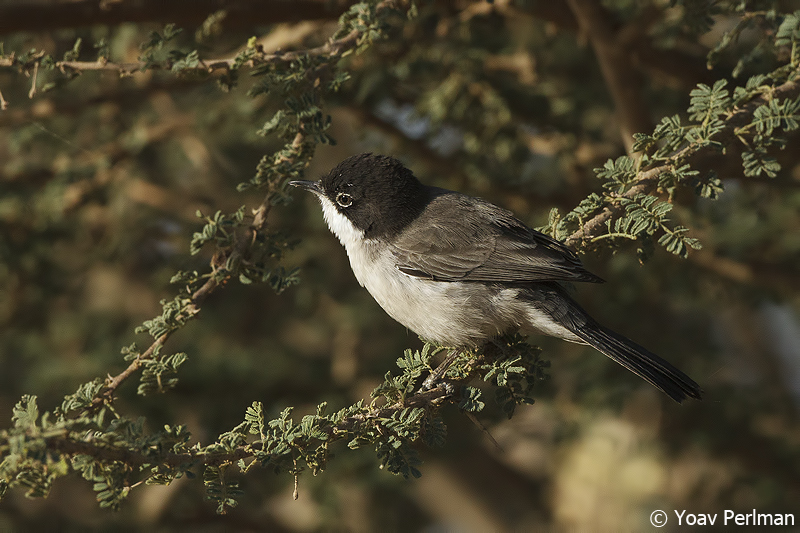 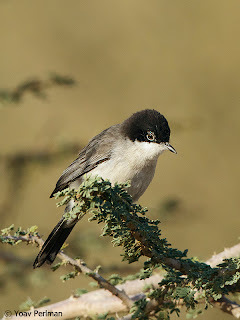 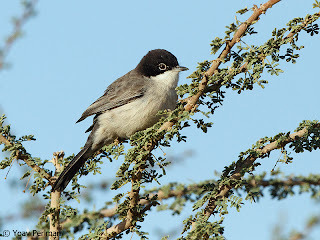 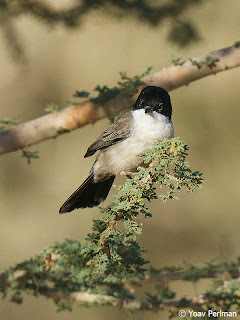 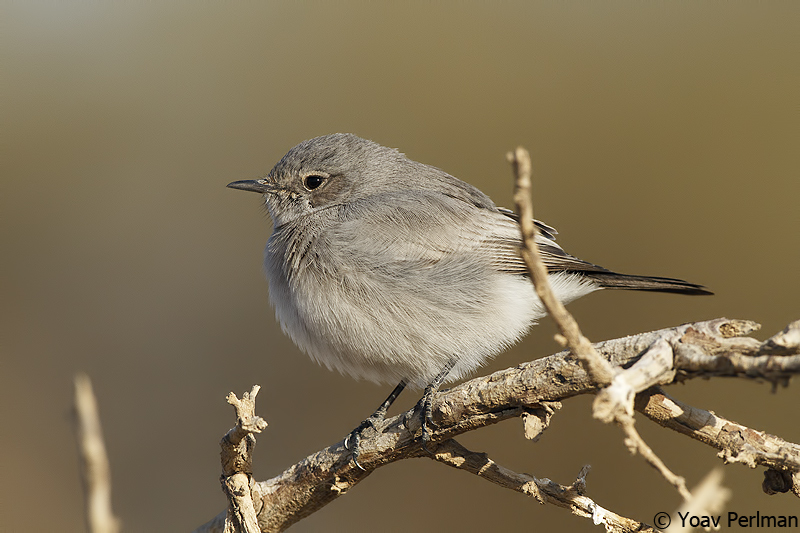 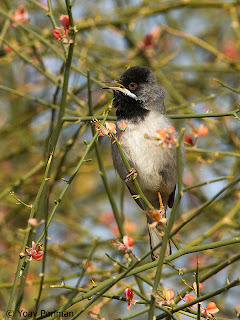 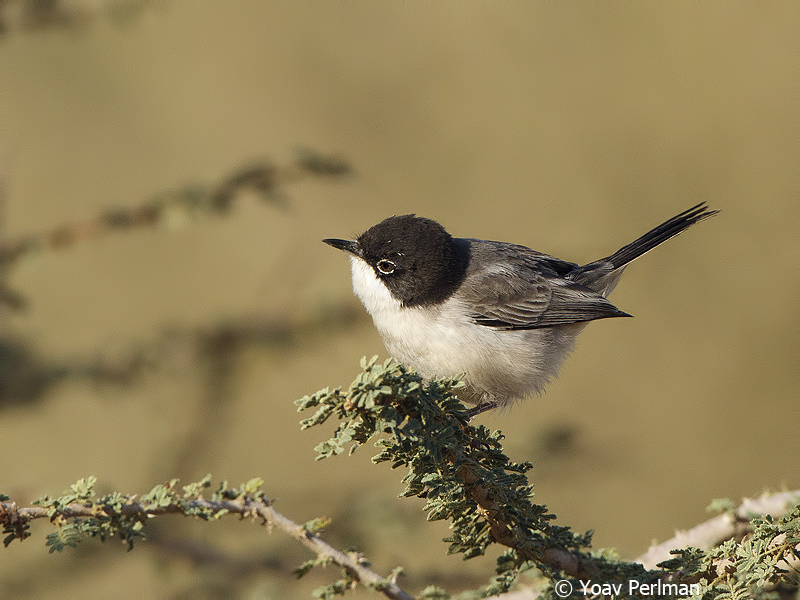 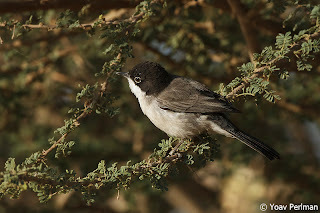 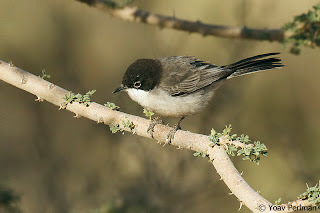 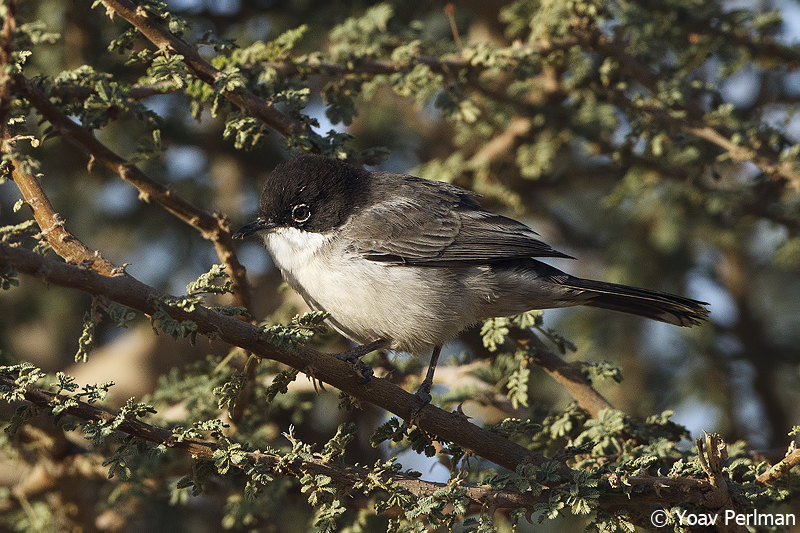 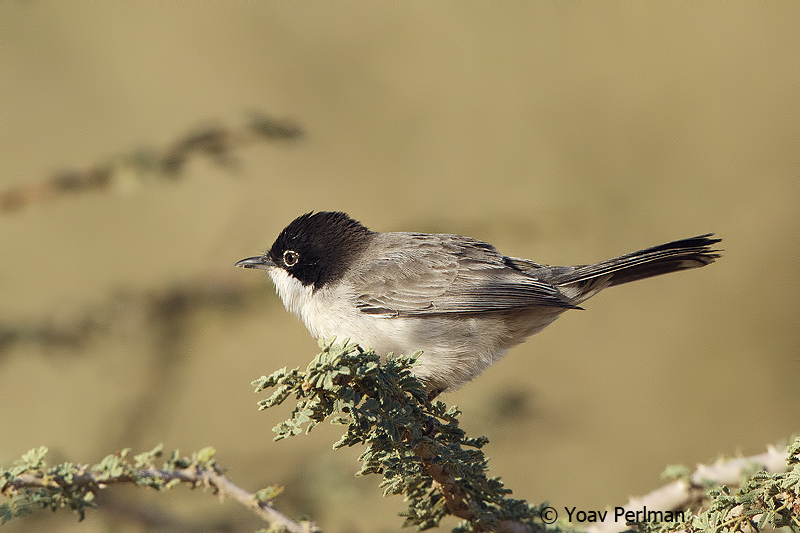 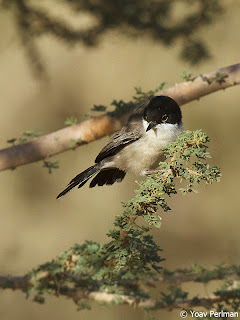 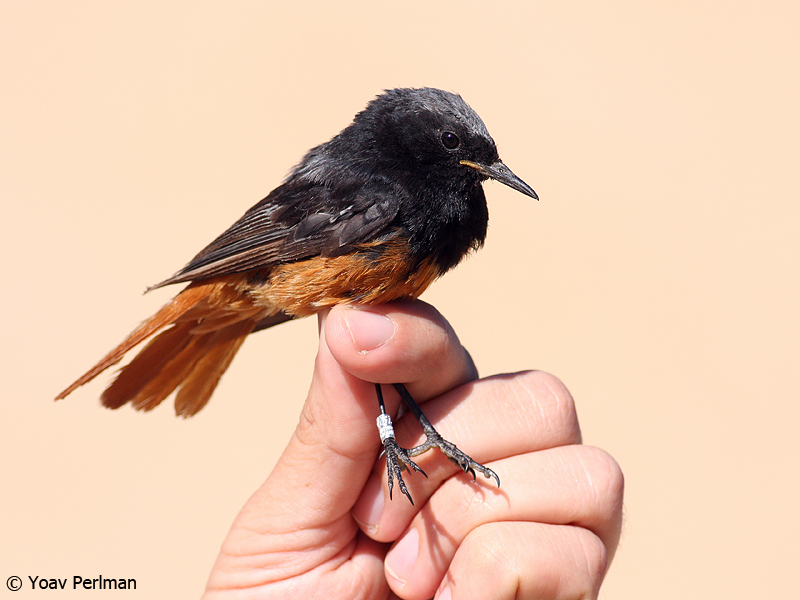 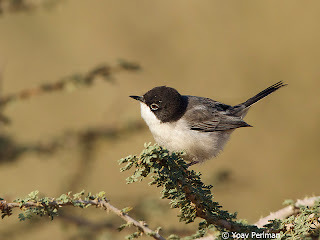 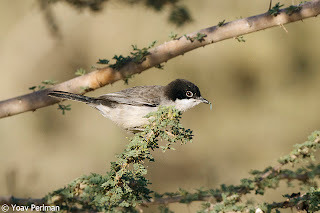 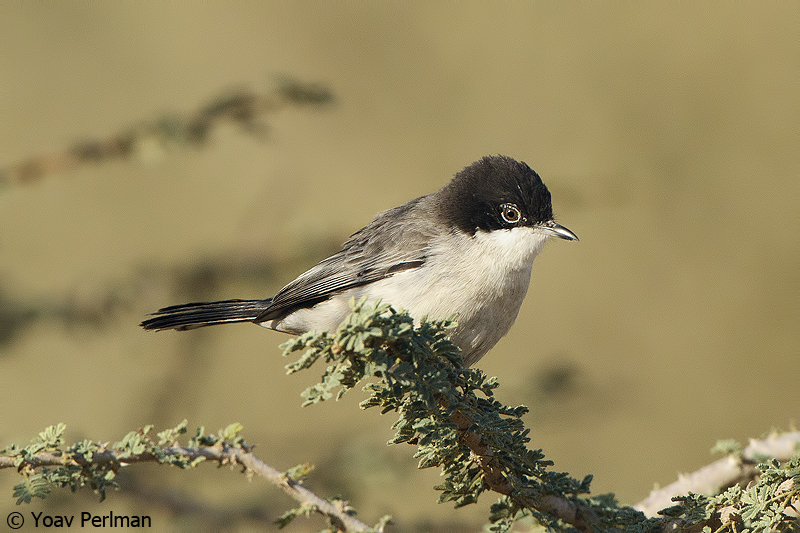 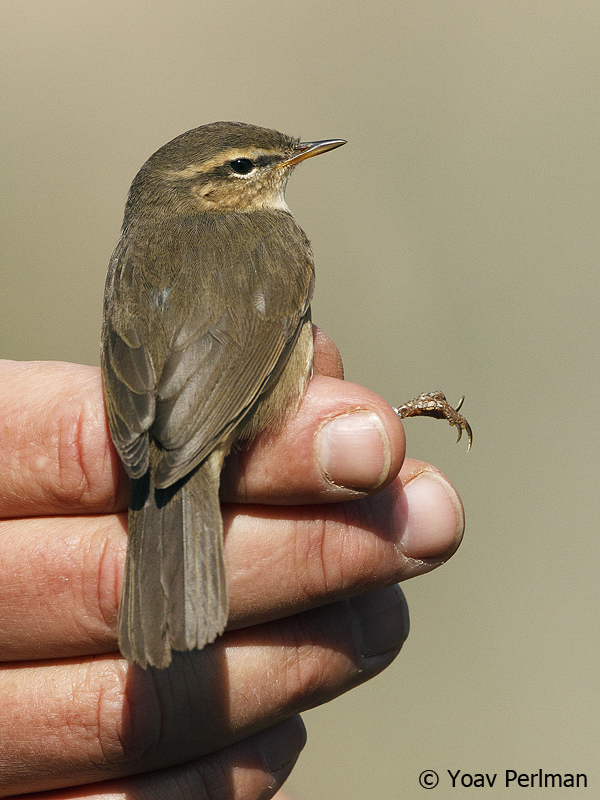 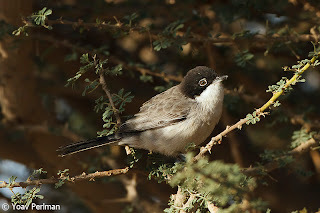 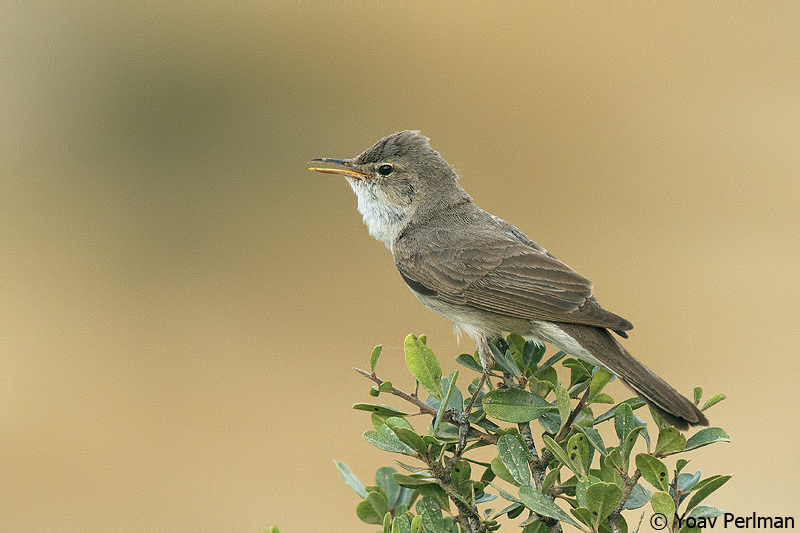 Arabian Warbler is one of Israel's rarest breeding birds, with less than 20 pairs found during the recent atlas project in the Arava I coordinated; most are found near Hazeva. This decline in Israel reflects the poor state of Israel's acacia savannas. 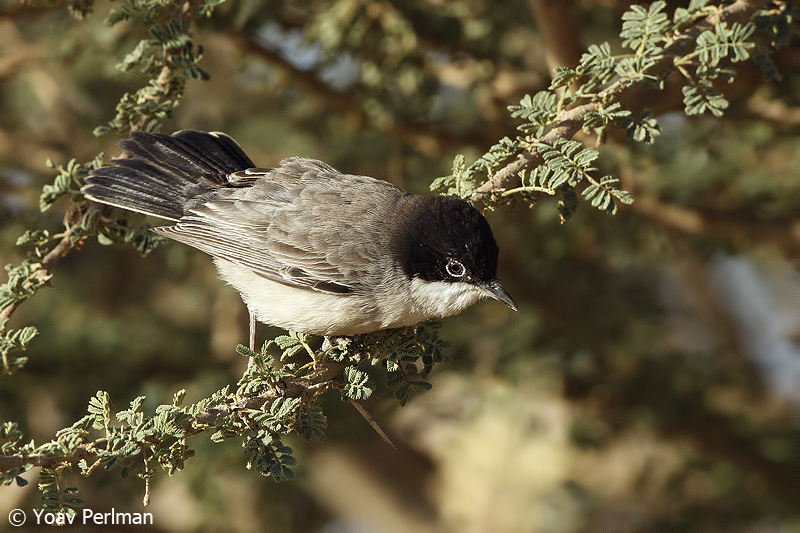 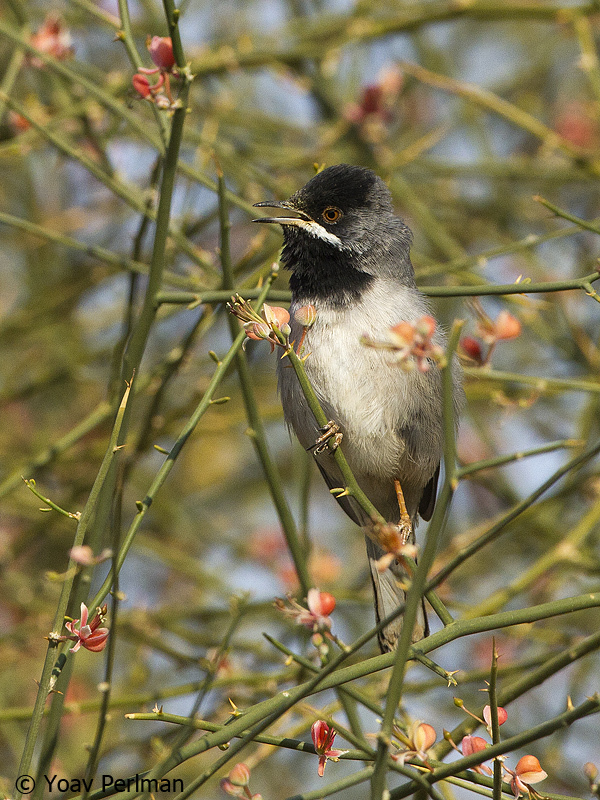 Following some surprising rains and floods earlier in autumn, parts of the acacia savanna are blooming nicely, and in response this year Arabian Warblers started declaring territories and courting earlier than normal. 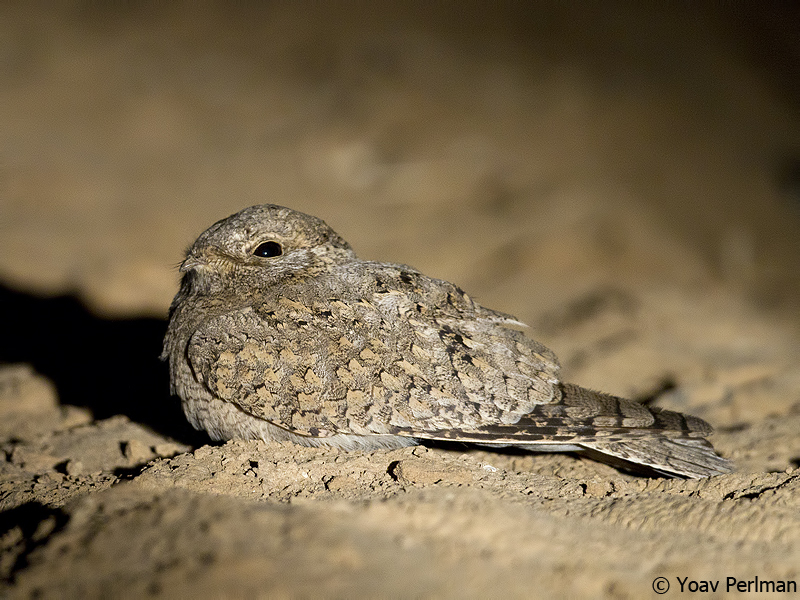 I don't believe they breed now - the nights are too cold, but for sure they are getting ready for the breeding season. Anyway, rather quickly after dawn we found a pair, loafing in the acacias. The female was rather shy, but the male was very curious and came to check us out. He also foraged out in the open, often very close to the ground. He didn't sing much though. The second male we found, in another location, was singing constantly, but showed less well. 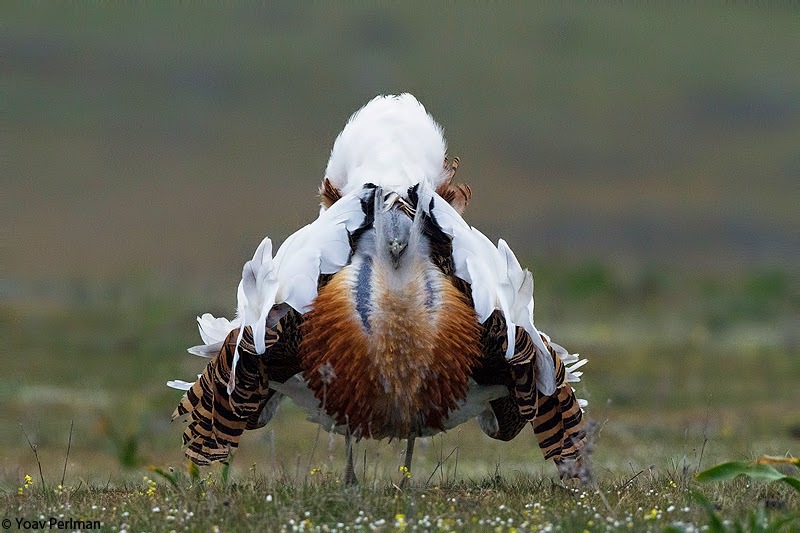 They are such charismatic birds. With this huge black tail, lovely black hood with smart white eyering, I find them very attractive. 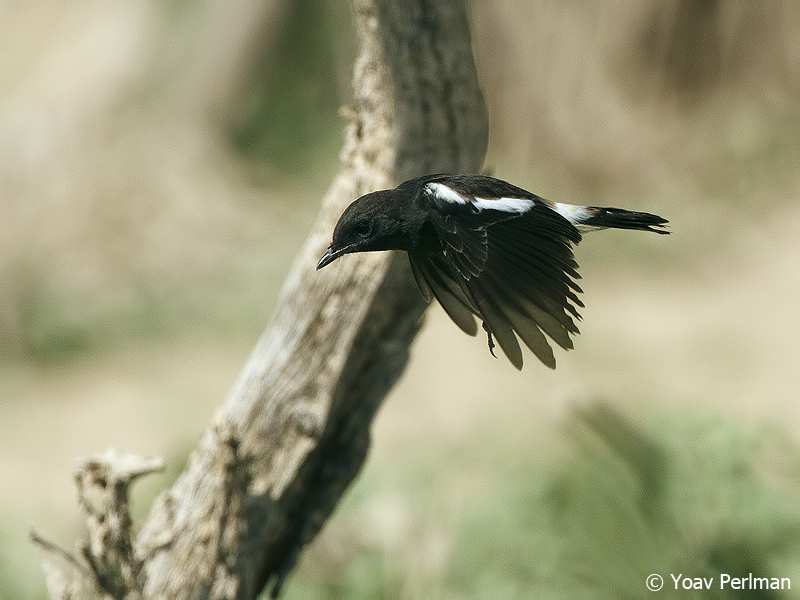 They have a unique 'move', jumping around in the trees much slower and calmer compared to other hectic sylvias, constantly waving their tail from side to side. 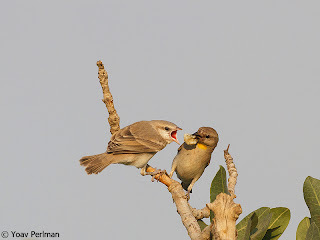 I hope that this series of images succeeds to demonstarte this. 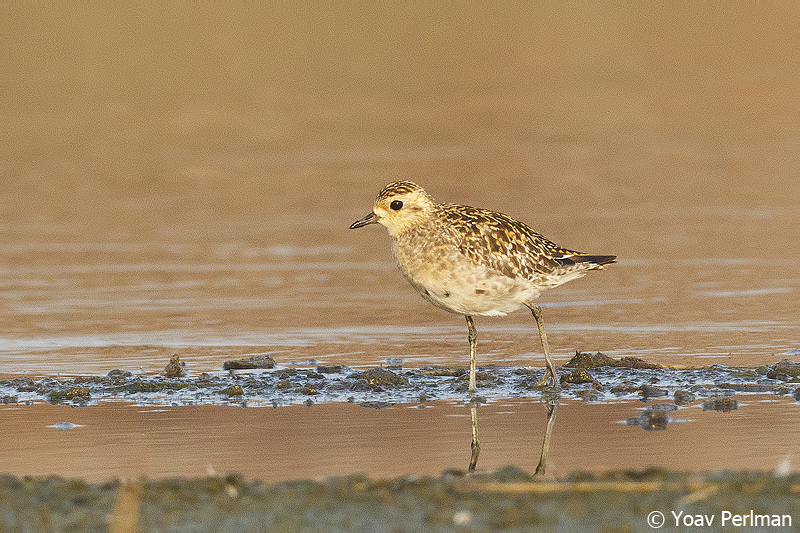 For me this was a very special morning. 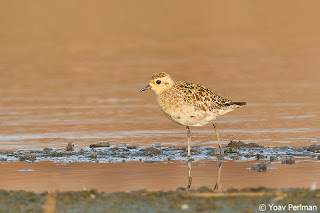 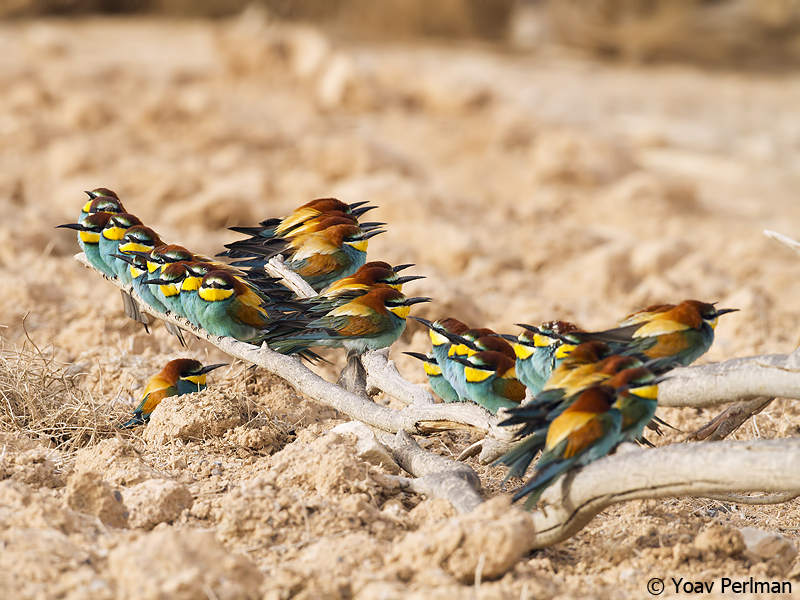 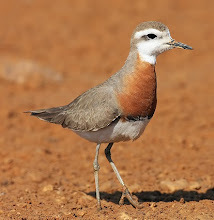 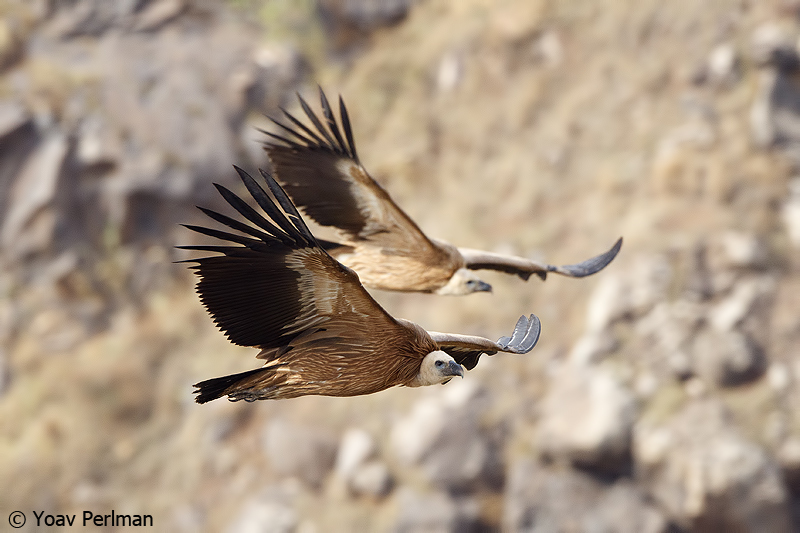 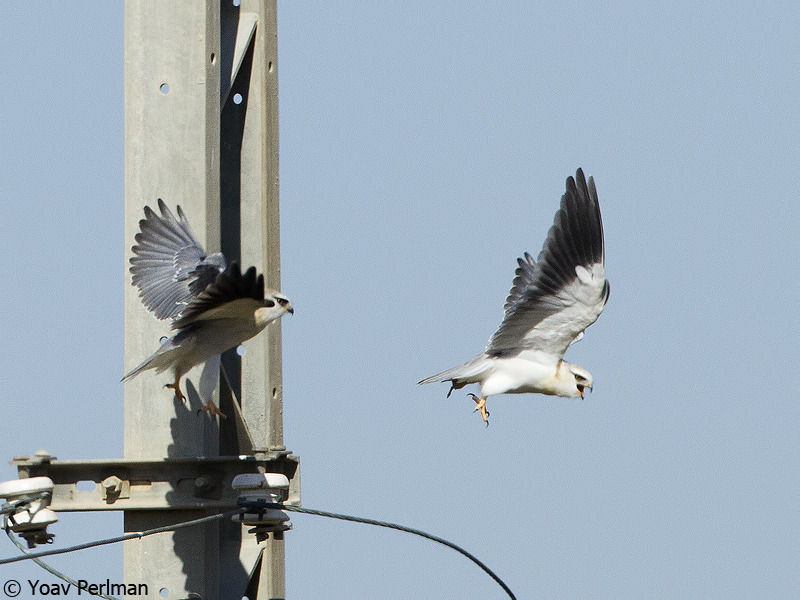 I have seen them many times before, but this is the first time I get proper images of these critically endangered birds. 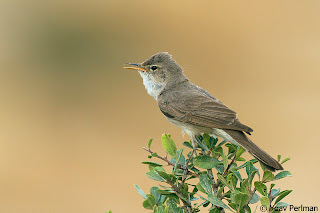 During the morning I managed to get some poor recordings with my phone - it's time for me to purchase a proper recording system. 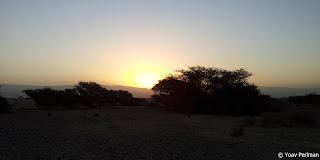 Merry Christmas to all my readers in the world!